Last week, tragic killings took place between the Somali and Oromo in southeastern Ethiopia. The leaders of the two groups are blaming each other. The TPLF regime in Addis Ababa says it is investigating. Nevertheless, it is safe to say that the root cause of all this is the government’s ethnic-based policy. The policy may have benefited the rulers and their associates, but it is pitting one group against the other. For example, the regime has included the northwestern territory of Gondar with Tigre in guise of linguistic identity. That has led to a dangerous confrontation between Tigre and Gondar in the north. Now the Somali and Oromo are fighting over territory in the south. These are precursors to a brutal civil war. The people of Ethiopia had lived in relative peace and tranquility, divided into provinces. The problem at that time was a repressive, central government. That could have been resolved by allowing provincial autonomy within a federal structure. What are the possibilities presently for introducing such a system before it is too late to save Ethiopia? First, it was unwise of the TPLF regime to annex the northwestern territory of Gondar. The regime cannot win this fight. It will only get Tirgreans alienated further. Tigreans have lived in Gondar and the rest of Ethiopia as equal citizens for centuries. Why does the regime want to change that now? It needs to be mentioned that people are united by economy, not by language or ethnic identity per se. Second, the TPLF rule has revived the age-old Tigre-Amhara rivalry. The ethnic-based policy has not resolved the inter- and intra-ethnic grievances in the historical empire of Gondar, Tigre, Wello, Gojjam and Shawa. In fact, the rise of Tigre has united the Amhara regions against Tigre, isolating the latter further. Third, there is the “Oromia” puzzle. The Oromo as well as the Sidama regions occupy fertile agricultural lands, surrounded by regions less endowed. Thus, others could attack them for their rich resources. The Oromo cannot be safer on their own than as a member of a larger Ethiopian community. For instance, Gojjam (Amhara-majority) and Wellega (Oromo-majority) have intermingled and lived as good neighbors for centuries. One cannot, however, ignore past injustices and inequities that had existed between the Tigre/Amhara, on the one hand, and the non-Tigre/Amhara, on the other. Historically, the Ethiopian State has been controlled by the Tigre/Amhara. The non-Tigre/Amhara groups have long been excluded from political power although they occupy the economic heartland of the country. Thus, the Oromo can easily leverage their resource advantage to force a system of provincial autonomy within a federal structure so that one group alone cannot dominate a government. Fourth, most of the political organizations inside the country are ethnic-based because that was required by the government in order to acquire legal status. However, organizations outside the country do not have to abide by such a requirement. Yet, they have embraced, out of self-interest or lack of knowledge, the TPLF constitution that divides the country into ethnic territories. Furthermore, they espouse identity politics. For instance, they call for an alliance between the Oromo and Amhara to oust the Tigre. However, that cannot resolve the very real problem of a centralized, repressive form of government. It will simply replace it with the same predatory form of government. Finally, the TPLF regime is an ally of the West, especially the United States of America. Governments everywhere pursue their own self-interests. If the foregoing is accepted, one cannot expect the West or the United States of America to save Ethiopia. The responsibility to save Ethiopia lies on the people of Ethiopia, in general, and the intellectual community, in particular. Ethiopia is the only one of the ancient and medieval empires in Africa that has survived. The others were dismembered by internal feuding and external intrusions. 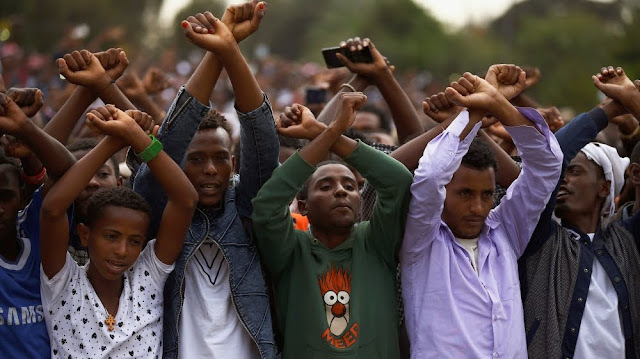 Therefore, it has to be recognized by all that only provincial autonomy within a federal structure can resolve the problem of a centralized, repressive form of government and save Ethiopia. The government’s ethnic-based policy will only pit one group against the other, and thereby hasten the dismemberment of the country.